Victrex plc (Victrex) and Magma Global Ltd. (Magma) are continuing to build their strategic partnership targeted at the oil and gas industry. Following the joint development of Magma carbon composite m-pipe(R) utilising VICTREX™ PEEK, Victrex recently invested in a minority interest in Magma to further facilitate the adoption of its m-pipe for subsea applications. The investment is in line with Victrex’s strategy to create future value through innovation and further differentiation into selected semi-finished and finished products, in addition to supplying the core high performance polymer. The innovative m-pipe technology is expected to reduce exploration and production costs and risks for demanding subsea applications – and is also the subject of a webinar covering engineering, performance and commercial benefits. Increasingly stringent demands for operations at greater depths, with sour service demands, and under higher pressures and temperatures, have made a metal replacement for subsea piping an urgent priority for the oil and gas industry. "Our strategic relationship with Magma Global will help to further facilitate the industry´s move into a new era of enhanced capabilities, coupled with reduced costs, in extreme subsea operations," commented James Simmonite, Energy Director at Victrex. 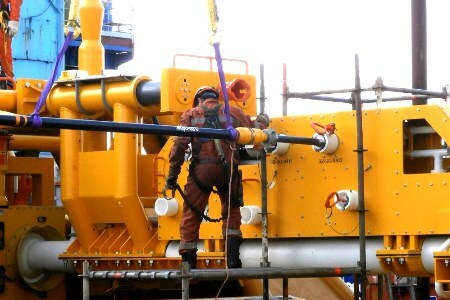 “The oil and gas market remains challenging, but the application of m-pipe in areas where it can deliver cost savings for operators, through simpler design, easier deployment and in whole life costs, means it should be the technology of choice for demanding subsea applications," said Martin Jones, CEO at Magma. Continued progress of the company last year also included the launch of a leading rental system for hydraulic pumping for intervention, early production and temporary riser replacement, consisting of m-pipe with an Integrated Deployment Package and crew. With co-operation between the two companies continuing to grow and bear fruit, both are joining Smithers Rapra in hosting, on Wednesday 22 February, a free webinar concerning the use of Victrex’s polymer in the construction of thermoplastic composite pipes (TCPs) for subsea environments. In particular, the webinar will outline the technical advancements now made possible by the VICTREX PEEK-based m-pipe from Magma, including the engineering, performance and commercial benefits. The webinar will focus on SURF, subsea jumpers and subsea connectivity. The qualification process for m-pipe will be described, as well as the outstanding properties of PEEK polymer which, together, make it an excellent fit for subsea applications.